Last Monday, January 20, was Martin Luther King, Jr. Day, during which people in Mississippi and the rest of the nation remember Dr. King and the cause to which he gave his life and for which he lost his life – Civil Rights for all Americans. Yet, it is not only Dr. King we remember on this day. He was a great man who was the face and voice of a great movement, but the Civil Rights Movement’s true greatness was that ordinary citizens from various classes, professions, races, and states joined together for a common cause. The theme for the 2014 Martin Luther King, Jr. Day celebration in Meridian was “Fifty Years Later: Honoring the Leaders of Today, While Remembering the Warriors and Dreamers of Yesterday” and specifically honored James Earl Chaney, Andrew Goodman, and Michael “Mickey” Schwerner, the three Civil Rights workers murdered in Philadelphia, Mississippi. What most people in Meridian did not honor or remember on Martin Luther King, Jr. Day is a small, two-story commercial building at 2505 Fifth Street in downtown Meridian, the Fielder & Brooks Drug Store, also known as the COFO Building, headquarters of the Civil Rights Movement in Meridian during Freedom Summer and the place where Chaney, Goodman, and Schwerner worked to achieve Civil Rights for all Americans. Few people in Meridian, and certainly few elsewhere, realize that this building will soon be demolished by the City of Meridian. 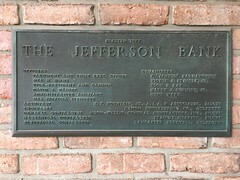 The building was purchased by Doctors Fielder and Brooks in the late 1940s. 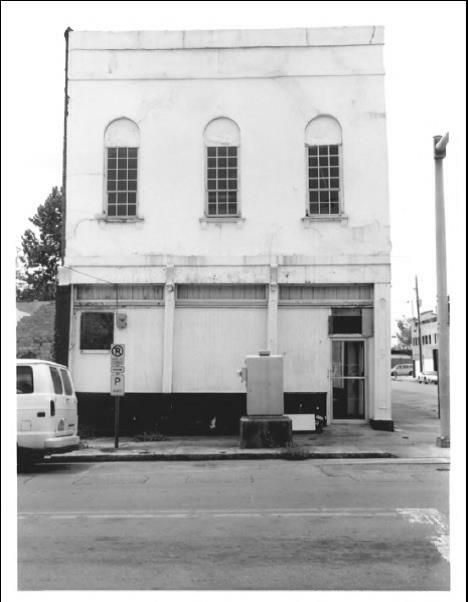 They established Meridian’s first drug store for the city’s black residents in 1934, who previously were at the whim of white businesses and residents for access to much needed medicine. Until 1964, 2505 Fifth Street was indistinguishable from other nearby buildings in its architecture, history, and importance. Despite the dangers and difficulties, Civil Rights workers in Meridian came together to make the COFO Building something other than a cold, dirty, dilapidated structure. Over the Winter, Spring, and into the Freedom Summer of 1964, Civil Rights workers, both native black Meridians like James Earl Chaney and white Northerners like the Schwerners and, later on, Andrew Goodman, transformed the COFO headquarters into what Rita Schwerner imagined when she first walked into the building, a place that resembled Dr. King’s vision for America. Meridian Civil Rights workers faced harsh reality and, for many, an end to their idealism when Chaney, Goodman, and Schwerner were murdered on June 21, 1964. The COFO Building was the last place where Chaney, Goodman, and Schwerner were seen alive by their fellow Civil Rights workers. 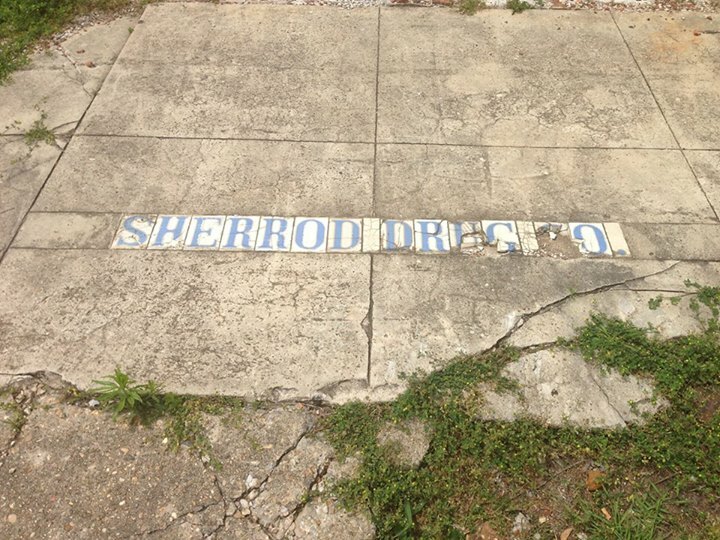 Though Freedom Summer continued across Mississippi and Civil Rights activism continued in Meridian for years, Fielder & Brooks Drug Store would cease being COFO’s headquarters, those five, second story rooms abandoned when COFO moved to another building (now demolished) across from Meridian City Hall. Fielder & Brooks Drug Store eventually closed in 1984 as Dr. Fielder became too elderly to manage it, and the COFO Building was largely forgotten. The surrounding area declined as black-owned businesses closed, some due to competition from suburbs, others ironically due to competition from white-owned businesses that blacks finally had the right to patronize. 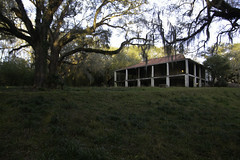 However, before 2010 the building’s historical importance began to be appreciated, much like other Civil Rights sites. As I pointed out here on Preservation in Mississippi three years ago, in the post “Civil Rights Sites from Charles E. Cobb Jr.’s ‘On the Road to Freedom’,” Movement veteran Charles E. Cobb, Jr. listed only one Meridian site in his book, the Fielder & Brooks Drug Store/COFO Building, although he was largely forced to do that due to the demolition of all of Meridian’s other major sites. 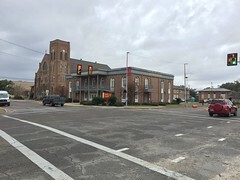 Many Civil Rights Movement veterans and Meridian citizens, such as Gail Falk, Mark Levy, and Judge Larry Primeaux, appalled at the disinvestment plaguing most of downtown Meridian, began calling for the restoration of COFO’s headquarters. Roscoe Jones, Sr., another Movement veteran who worked as student organizer in the COFO Building, student leader in the Meridian Freedom School, and co-chair of the Mississippi Freedom Summer Youth Convention in 1964, organized The Freedom ’64 Project with the goal of restoring the COFO Building as a Civil Rights museum. 2011 looked like a promising year for the COFO Building’s restoration. Mississippi Heritage Trust (MHT) named Fielder & Brooks Drug Store/COFO Building as one of the ten Most Endangered Historic Places on their biennial list. 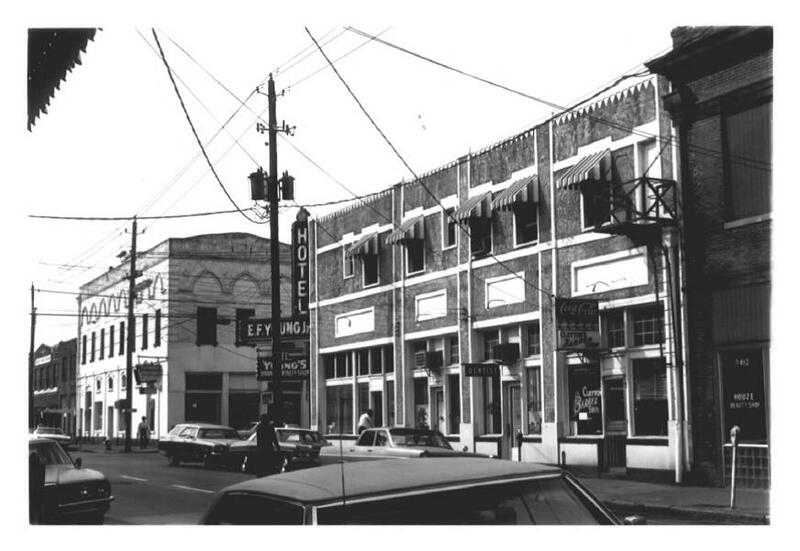 Meridian Main Street, on behalf of The Freedom ’64 Project, was awarded a $2,307 grant by the National Trust for Historic Preservation from the David K. Thorne Intervention Fund, which was used for a structural assessment of the building. In addition, MDAH’s Mississippi Civil Rights Historical Sites grant program awarded the maximum allowable grant, $210,000, to The Freedom ’64 Project “to stabilize the roof, windows, and doors, and restore the exterior of the building.”  It looked as if the building was going to be a preservation success story, much like the Tallahatchie County Courthouse in Sumner, currently being restored using Mississippi Civil Rights Historical Sites grant funds. But looks can be deceiving, and if things had worked out back in 2011, I would not be writing about the COFO Building’s impending demolition in 2014. According to public records, The Freedom ’64 Project refused to sign a maintenance covenant associated with receiving Mississippi Civil Rights Historical Sites grant funds. MDAH requires that “grant recipients must enter into a twenty-five-year preservation and maintenance covenant that safeguards the state’s investment by providing MDAH oversight of alterations to the building during that time.”  Also, The Freedom ’64 Project was only able to secure a long-term lease of the COFO Building; the group never actually took ownership of the structure. The building’s owner (indicated by Lauderdale County property appraisal to be Veldore F. Young) intransigently refused either to sell the COFO Building or make any repairs, even after the roof began failing and the walls developed cracks. Through 2012 and 2013, the COFO Building deteriorated further. The City of Meridian’s demolition plans for the building were unveiled in early January 2014 after an engineer certified the building as unsalvageable, though buildings in much worse shape have been restored in cities with more appreciation for historic preservation. Despite protests from Roscoe Jones, Sr., last week the Meridian Historic Preservation Commission, as they are always wont to do, approved the city’s demolition request. Unless something extraordinary happens immediately, Fielder & Brooks Drug Store/COFO Building will very soon, for the first time since 1879, not anchor the corner of Fifth Street and Twenty-Fifth Avenue. Meridian city officials state that they want to memorialize the Civil Rights Movement and the activities that occurred at the COFO Building in some form after the building’s demolition. Yet, is there any memorial or monument more fitting and appropriate to the Civil Rights Movement than the wood floors that Mickey Schwerner slept on during the Winter of 1964, or those five rooms “colorful, filled with books and the sounds of music and happy people” where James Earl Chaney, Andrew Goodman, and many others worked to achieve Civil Rights, or the storefront where Doctors Fielder and Brooks brought medical supplies to a community that had forever been denied quality medicine? What memorial or monument could be more powerful than the COFO Building itself? Or perhaps the COFO Building’s demolition is appropriate. What better way to commemorate Chaney, Goodman, Schwerner, and all other Meridian Civil Rights activists than to have a backhoe rip through the COFO Building, smashing bricks, cast iron, and glass to the ground. The wood floors and formerly colorful rooms bulldozed into piles of rubble, loaded onto dump trucks, and hauled off to Pine Ridge Landfill. What could be a more fitting memorial or monument to the sacrifices of Meridian’s black community before and during the Civil Rights Movement than blocks of vacant lots with a few bricks and concrete foundations poking through the unmaintained weeds. I am sure Martin Luther King, Jr. only dreamt of this during his nightmares.
. Ida Brown, “MLK Parade/Celebration to highlight 50th anniversary of civil rights workers’ murders,” The Meridian Star, January 15, 2014, Accessed January 19, 2014, http://www.meridianstar.com/local/x1427962793/MLK-Parade-Celebration-to-highlight-50th-anniversary-of-civil-rights-workers-murders.
. Department of the Interior, National Park Service, National Register of Historic Places Registration Form, Meridian Downtown Historic District, by Ford, Linda, Section 8, Page 34.
. Mississippi Department of Archives and History, Historic Resources Inventory, Fact Sheet for the Fielder & Brooks Drug Store/COFO offices, Accessed January 26, 2014, http://www.apps.mdah.ms.gov/public/prop.aspx?id=16608&view=facts&y=728.
. William Bradford Huie, Three Lives for Mississippi (Jackson, MS: University Press of Mississippi, 2000), 44.
. Center for Oral History and Cultural Heritage of The University of Southern Mississippi, “Oral history with Alvin L. Fielder, Sr.,” http://www.lib.usm.edu/legacy/spcol/coh/cohfieldera.html.
. Mississippi Heritage Trust, “2011 10 Most Endangered Historic Places,” http://www.mississippiheritage.com/10Most2011.html#Fielder.
. “Grant to restore historic building,” The Meridian Star, January 17, 2012, Accessed January 26, 2014, http://www.meridianstar.com/local/x1267395383/Grant-to-preserve-historic-building.
. Mississippi Department of Archives and History, Press Release, “More than $2 Million Awarded to Civil Rights Sites by MDAH,” http://mdah.state.ms.us/admin/news/chpgrantwin11.html.
. Andrea Williams, “COFO Building Update,” WTOK, January 14, 2014, Accessed January 19, 2014, http://www.wtok.com/home/headlines/COFO-Building-Development-240118331.html.
. Andrea Williams, “COFO Building Demolition Response,” WTOK, January 16, 2014, Accessed January 19, 2014, http://www.wtok.com/home/headlines/COFO-Building-Demolition-Response-240642281.html. “COFO Building Demolition Gets Final Approval,” WTOK, January 23, 2014, Accessed January 26, 2014, http://www.wtok.com/home/headlines/COFO-Building-Demolition-Gets-Final-Approval-241730091.html. ‹ Happy Birthday Historic Natchez Foundation! As much as I agree about the lack of preservation ethic among Meridian’s leadership these last several years, I don’t agree the city bears the brunt of the blame on Fielder and Brooks. To me, it’s a similar ownership issue as we see with Arlington in Natchez, Mt. Holly in Lake Washington, and the Money Store: an owner who is either uninterested in the building’s history or enjoys the power of dangling it in front of tthose who are trying to save the building, and then pulling it back. It’s a particular shame with this site, which probably could have been a National Historic Landmark if it had been restored. I believe that the city shares some blame for this, though not all the blame; that is why I mentioned the ownership situation (and listed the property owner, which is something I usually do not list). I did not mean for the article to entirely blame the City of Meridian, but considering the city’s preservation ethos (or lack thereof), I do not care if the city is entirely blamed or not. Meridian has allowed its historic properties to be abused, neglected, and demolished for decades and is actively complicit in every demolition in the historic district since the Meridian Historic Preservation Commission always grants demolition requests, no matter how architecturally or historically significant the structure. Also, in one of the WTOK articles, the Mayor passes the buck by stating, “the building is private property.” The Mayor is correct, but even in Meridian and even in Mississippi, there are historic districts and guidelines to what can and cannot be done in those historic districts. Letting one’s building fall into ruin is not within those guidelines. How can we stop this? Mattie Hersee & COFO…it’s wrong. And speaking of pending Meridian disasters, has there been any progress saving the Risher-designed MPD building? No!! We keep trying. I’ve tried & tried to get MDAH to protect all things Risher, Sr. They keep asking for more proof he was an important/contributing architect…it’s frustrating. It would be fairly easy to find many in-state—and out-of state–architects and artists and professors and clients who could testify of their importance. It’s difficult to find any architects that were not directly or indirectly influenced by the Rishers. They defined the Modernist direction that appeared after the war. Their buildings (and landscapes) are physical indicators of the rise of a new progressive, professional class during that time. I find it dumbfounding that MDAH has no clue about anything built after V-E day. This can’t be the case…can it? I don’t enjoy being ageist, but is that an issue here? I’m not really sure. I think that magic 50 year mark is where they (MDAH) draw the line. I think they’re asking me to make my case because most of his work doesn’t fit their accepted definition of “historic”. The problem with the Risher Police Station is with the National Register Listing. Ironically, it is the latest National Register listing for the Meridian Downtown Historic District that throws the Risher Police Station under the bus. If the Police Station had remained a contributing resource to the National Register listed historic district, it would be less difficult to preserve and more difficult to demolish (especially if Federal money is used for demolition). However, the City of Meridian has demolished buildings far older with little difficulty. You have your work cut out for you if you are trying to preserve historic buildings in Meridian. 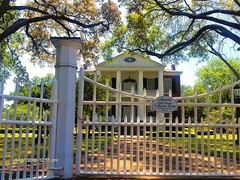 I do wish you all the luck in the world because Meridian has some of the greatest historic architecture in Mississippi. Yes, we do. And, we are notorious for not caring. It’s sad. I hope we can salvage what’s left. Thank you for your input and advice…we will keep trying. I just don’t know how to give up, I guess. I believe there has been a misunderstanding about MDAH’s statement about Risher, Sr. and I would like to clarify that issue. We were presented with the question of whether a house that served as Risher, Sr.’s office in the 1940s before he moved into his Vise Building office–which he kept for the rest of his career–would be eligible for the National Register based on its association with him. National Register guidelines state that a building nominated for its association with a person must meet three criteria: first, that the person was significant; second, that the building in question was the one most closely associated with his or her productive career; and third, that the building be recognizable from the time of that person’s occupation. For instance, Rowan Oak is listed on the National Register for its association with William Faulkner, but his birthplace and earlier residences are not–not because Faulkner is not significant but because his most significant work took place at Rowan Oak. If someone had moved into Rowan Oak after Faulkner and taken off the portico and gutted the interior, the house would meet the first and second criteria, but not the third. These are guidelines established by the National Park Service, which ultimately oversees the National Register, not by MDAH. MDAH recognizes Risher’s importance as one of Mississippi’s most talented Modernists. Unfortunately, none of our Modernists after N.W. Overstreet have received the scholarly attention they deserve–this research would certainly go far in informing National Register nominations for our post-WWII landscape. Risher in particular deserves a major study, a dissertation, an exhibit, hopefully someday a thematic nomination of his work in Meridian. The question put before us, though, in this case was about this particular house, namely, were Risher’s accomplishments tied to this house or were they more closely tied to his office in the Vise Building? Our comments were not meant to diminish the house or Risher, but instead to sharpen the argument for significance and also, possibly save the owner time and money if the nomination would ultimately be rejected for failure to meet the criteria. Getting Risher more recognized in the community is definitely a first step in preserving his work, and this is something that MDAH can help with (as can the architecture school at MSU and individual architects who love his work). I know that there is talk of a Risher tour sometime this year, and a survey of the northern section of Poplar Springs Avenue taking place this year is already documenting a number of Risher designs that will help us shine more of a light on his work. But after that, saving Risher will take the efforts of individual property owners, advocates like Ms. Barker, the historic preservation commission, neighborhood groups, and the City, to actually do the hard work of preservation. Without local support and local time, energy, and money, the State’s money will go begging, as it did in the case of the COFO Building, truly a great loss for Meridian and for the State of Mississippi. Thanks, Jennifer. I did present an application for Risher’s office/home to be considered for nomination. I also presented the location as a contributing building to the Midtown Historic District since it sits one block outside the district (and fits the architectural design of the district description). Would that be a better route for that specific structure? I’ll follow your advice and direction. Thanks for your input. Also, I’d love to know more about the Risher tour (if it materializes). Note: We donated all of Risher’s drawings, notes and samples we found in his office to the MSU Architecture School. Amending districts has become harder than it used to be, but that may be the best option. Let me talk with our National Register coordinator and see how we might proceed. I think the criteria cited are designed to award status based on the historical importance of an occupant, and are not about the designer or architectural importance of the building; I suspect other criteria would be applied in that case. Under those criteria no monument would be eligible, whether it be the Iwo Jima Memorial or some local monument in a small town. This I fail to understand. Essentially, the critera break down into Historic Events, People, Design/Architecture, and Archaeology. Each of these criteria can be further clarified as having National, Statewide, or Local significance. So an event or person doesn’t need to be nationally significant to be listed on the National Register–in fact, local significance covers most of our listings. In the case of the house mentioned above, we were asked to evaluate whether the house, which was not designed by Chris Risher but served as his office in his early career, would be eligible under Criteria B: People. If he had designed the house, we could have evaulated under Criteria C, but that was not the case in this situation. 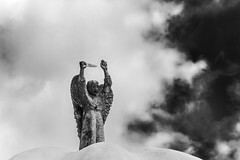 Monuments such as those you mentioned, Pibbb, would be evaluated under either Criteria A, as representative of memorial movements, or if they are true works of art like several at Vicksburg NMP, under Criteria C, for their design and craftsmanship. To your question about whether all of Frank Lloyd Wright’s work should be listed on the Register, there is certainly room for that: under Criteria C, there is the clause “work of a master,” which covers works that may not have been his greatest but are representative of his design approach. I think it’s also important to distinguish between the National Register, which is a foundational tool of preservation, and “protection.” Buildings on the National Register are not protected, except from certain instances of federal government activities. Even then, as we’ve seen with many structures on the Coast since Katrina, the federal agencies are in the driver’s seat: they can knowingly decide to pay for the demolition of historic buildings, as long as they have “considered the effect of their actions.” Private owners are even more free to demolish National Register properties. The National Register is honorary and it helps bring attention to historic properties that are on the list. It has helped save many historic buildings and neighborhoods, but only because local people used it as the first step in a longer preservation effort. 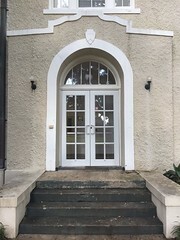 Local designation, through local historic preservation commissions, offers the best protection for historic buildings, and for publicly owned buildings, the Mississippi Landmark designation also protects it (usually), as changes are reviewed by MDAH staff and Board of Trustees. This was a dream of Rep. Charles Young Sr. If Young Sr., were alive Tuesday morning, he would have seen a form of his dream come true in the diverseness of people gathered at the Troop H Mississippi Highway Patrol Station that now bears his name. Minister Gandy, your words crystallize what we have been stumbling around trying to say. I can think of nothing more poignant or powerful that could, or needs, to be expressed. How can we celebrate the groundbreaking of the new Civil Rights Museum while allowing one of the few physical reminders of that period to be pulled down? How can we dutifully save the store in Money and Sumner courthouse, places where Emmit Till’s life and murder sparked a revolution, yet destroy a building that became the nexus for the movement his death ignited? We are in danger of tearing out the center of a book; removing a bookend. This is how people….generations …forget. This should be scandal on a national scale. Ms. Baughn, below is the letter we reccieved from MDAH, we have been working since this time to satisfy the request that Mr. Risher was a contributing Mississippi Architect. I, also, was unaware that MDAH believed Mr. Risher’s offices to be in the Vice building and not at 1414 24th Ave where they were until his death in 1998. Mr. Risher’s office was adjacent to my Grandfather’s for many many years, and I purchased the properrty from Chris Risher Jr. and his family in 2004. I then worked with Risher Jr. to assure all of Risher Sr.’s files and documents th;at were still at his office were preserved by MSU Architecture School. Please, refer to attached emails and Risher Jr. for any additional information need. The architect that designed 1414 24th Ave was Frank Fort, among his many other contributions to Mississippi Architecture are listed below. I would really appreciate any help MDAH could provide in moving this project forward and getting it approved as we’ve been in limbo for over two years now. Also, the COFO building can still be saved. It will be much more difficult and less salvageable than two and a half years ago when we offered to restore the roof and stabilize the building to prevent the deterioration that it has experienced. If you and MDAH would like to meet as soon as possible, we will describe our current plan to salvage the building and get to work immediately. We’ve been in the business of building and renovating in East Mississippi since 1952 and would love to have the opportunity to continue, but we need help getting some of the needless roadblocks out of the way. 601.576.6850 • Fax 601-576.6975 mdah.sracc.ms.us Holmn.Dina. Thank you for submitting the Preliminary Evaluation Questionnaire for 1414 24. Avenue, Meridian, Lauderdale County. Based on the information you have submitted the property may be eligible for listing on the National Register of Historic Places for association with Chris Risher Sr., a noted Mississippi architect. In order to make the case for eligibility you would need to develop sufficient information to convince the Keeper of the National Register of Historic Places that Risher was an important person and that he had an influence on architectural design in Mississippi. That kind of evidence might be food in newspaper and magazine article, journal articles, dissertations and theses I have enclosed a copy of National Register Building 32, “Guidelines for Evaluating and Documenting Properties Associated with Significant Persons.” This will give you some guidance on the kind of information you would need to develop. After you have had a chance to research Risher, contact me and we can assess whether the case can be made. John, I have a home for the loose furniture left in my dad’s office except the two four drawer, tan lateral filing cabinets in the middle room on the south side, and the enormous gray wood rolled drawing cabinet in the middle room on the north. The metal filing cabinets are in fine condition. I thought the wood cabinet might be of use in your business. Frankly I am not sure what I will do with the large drawing files in the front north room, but I feel sure an architect friend getting started out will speak for them in the next day or two. Let me know it you might be able to use those pieces. I can tell you appreciate that sort of thing. It means a lot to me that you do. John, I’m glad you bought the Meadows building, and I appreciate your patience and good humor over the last year. I wanted to give you a heads up and ask you a couple of questions. 1. The Maytag washer and dryer in the garage should be in working shape. They are ten years old or so, but were only used several years. I had thought they could replace the existing laundry appliances. 2. Is your insurance on the in effect. I plan to send Insurance Solutions the news, but I guess you real estate professionals do all of that. 3. A month or so after Wells died I managed to let gas service expire due to nonpayment; it seemed wise to get the gas turned off, and I let inertia take effect. I did then pay the arrears but did not pay the reconnect fee – I simply never asked them to have the service reconnected. I will be happy to reimburse that charge. 4. Pat Barber has maintained the basement sump pump and building plumbing. I don’t know who has worked on the furnace; it has caused no trouble in the last, maybe ten years. 5. When I get a chance I will send you a historical narrative on the construction of the building which was designed by the fine architect Frank Fort. distinguished French country houses for for hundreds of families in Mississippi, Louisiana and Texas and Arkansas. I’m sure you know Fort’s houses in Jackson. The James Barksdale house was finished in the last two years, but handsome Fort houses are sprinkled all over this place. Thank you for this thorough and passionate history of the Fielder & Brooks Bldg. It’s demolition was certainly a preventable tragedy. The causes seem to lie somewhere in the inability of key people in Meridian to put aside their differences and work together to save the building. Anyway, thanks to you, it’s history and memory will be preserved.